For the past two weeks, I have been somewhat inactive on Social Media, missing my own blog post schedule and struggling to find time to answer emails. This has been happening because I have been super busy with life but, d'ya know what, I'm happy. After quitting my driving lessons earlier this year, it has taken me so long and so much courage to get started back up with it again. The thing is, driving isn't for me. I don't like the pressure of it and I certainly have zero interest in cars. In the weeks before I finally got booked in for a lesson, I was constantly putting it off but, now that I've had my first lesson, I feel motivated and ready to get back into learning. This week, my boyfriend and I have been completely redecorating his rather sorry-for-itself bedroom. The cream-washed walls, peeling wallpaper, and mismatch design is getting freshened up by two first-time decorators. The pair of us had never painted walls before this, so it's becoming quite a learning curve. I'm finding that naps have made a reappearance in my daily routine because decorating is unsurprisingly tiring and that my hair needs washing 24/7. It's difficult, messy and tiring but so rewarding. So far, we're nearly at the half way point with a lot left to do. Wish us good luck! I can't believe my luck in that I recently won 2 giveaways on Twitter! Now, this is me we're talking about; I never win giveaways or competitions and I'm usually the most unnoticed person ever but, this time, within the space of just 3 days, I won two amazing giveaways. I have received both of the items and I will VERY soon be showing the winnings in a blog post for anyone who is particularly nosey (like myself). I am so grateful, I couldn't say thank you enough. As well as being lucky enough to win two giveaways, I also recently sent off my own giveaway prize and it was given a such lovely welcome by the winner Chessie. The giveaway that I hosted was a Blogger's Surprise Kit and consisted of everything from a mindfulness book and a to-do list pad to Blog props and Pens (you can see everything that was inside here). I mean, typically it would be the other way around ('happy me, happy blog') but lately, due to the changes that I have made on my blog such as buying my own domain, forking out on a Pipdig theme, and enjoying the content that I've been uploading, I have been feeling really content and proud of my blog and this has been really lifting my mood. I regret to sound like investing and spending money on my blog was the key turn that generated my pride and happiness but I guess it has. 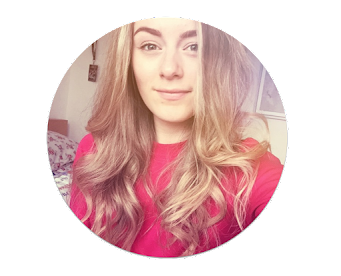 I just think that, personally for me, that was the only way that I was going to feel really in touch and comfortable with my blog because, at the end of the day, it's only a reflection of yourself and your own aesthetic. While my engagement and love from Instagram probably has no pulse, my feed is finally starting to be something that I'm comfortable with. I used to never be able to settle on one effect/filter for every photo and therefore my grid was super mismatched and just not something that made me happy. While my feed still contains pictures of all different sorts, the filter is nearly always the same and knowing that keeps me satisfied. You can view my Instagram feed here. 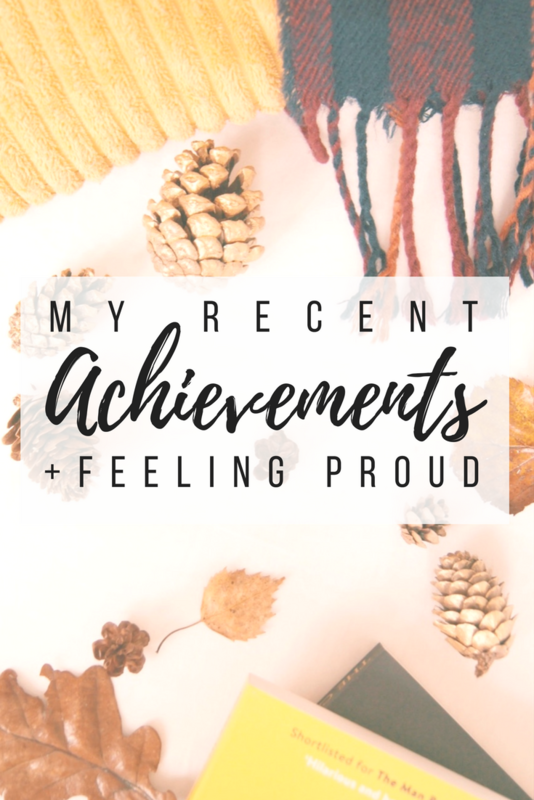 I think there's something so special about achievements and, as someone who suffers with anxiety, I feel like even when I achieve the smallest things, others can't quite understand why I have such an immense level of pride. Even if you open the curtains this morning, sign a big business contract, put an Instagram post up, or walk 5 miles, there is NO limit to pride. For me, even organising my driving lesson was something that put a smile on my face but I feel like I can give myself a hard time for feeling proud about those tiny things. Don't let anyone put a scale on your achievements; even the seemingly tiny routines in your day could be someone's hard work and effort. There's no shame in feeling proud. Embrace it. Enjoy it. You're doing great. What have you been achieving lately? It's great to here you're feeling better! I hated my driving lessons with passions, but once you pass and no-one is telling you what to do it's so much fun!